Do you need heating and air conditioning services in Carmel Indiana? Then you have come to the right place! Since 1977, homeowners and businesses in Carmel and throughout the 46032, 46033 and 46082 zip codes have come to trust Aaron York's Quality Air for all their heating and air conditioning needs. At Aaron York's Quality Air, we can provide all of your furnace service needs, from furnace installations and replacements to fast repairs. To ensure your gas, oil or boiler furnace is ready for the winter season, our friendly certified technicians can also assist you with furnace maintenance services. 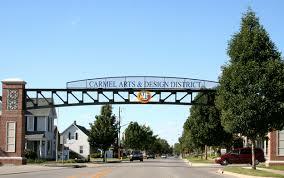 Don't let the summer heat get you down in Carmel. If you need a new air conditioning system or repair, that is where Aaron York's Quality Air comes in! 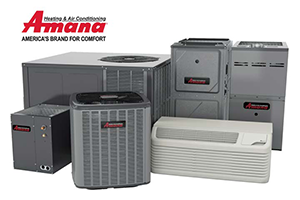 We provide all residential or commercial air conditioner services you may need; from air conditioner repair and air conditioner installation to air conditioner recharging and central air maintenance! You may think the air quality in your Carmel home or business is better than the outdoor air, but if you find yourself going about your day with itchy eyes or sneezing, you could be wrong. The U.S. EPA has estimated indoor air can be between 2 to 5 times more polluted than the outdoor environment, ranking indoor pollutants as a top five environmental health concerns. If you suspect the indoor air quality in your Carmel area home is poor, Aaron York's Quality Air will be able to help. We offer indoor air quality services such as sales and repairs on air cleaners, whole house air purifiers, and humidifiers, as well as UV germicidal lights and installation and filtration system replacement. Our specialized indoor air quality products and services ensure each of our valued clients can breathe cleaner indoor air no matter where they are located in their Carmel home or business. We are heating and air conditioning ductwork specialists offering a variety of HVAC ductwork service., Our ductwork services include ensuring cleaner air along with better working ducts, complete duct system replacements, repairing duct cracks and holes, and sealing leaky ducts.